It is a misconception that only Chief Executive Officers (CEO) and presidents can provide leadership once they are voted into office. Before they achieved those positions, they were just ordinary folks like you and me. They did have leadership qualities though while they were younger. They were not afraid to take risks. 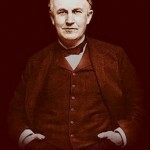 They were and still are the go-getters – ambitious enterprising risk-taking persons. There are tens of thousands of individuals who have found success in business, politics, entertainment and other industries. They have cultivated their leadership skills and natural talent for positively influencing others, and with definite luck they have achieved success even when wealth creating job opportunities were scarce. They accepted their weaknesses, improved upon their strengths and like President Obama said in his State of the Union speech, innovation and entrepreneurship was at the heart of their success. 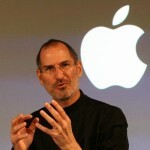 The following are biographies where you will learn men and women like Steve Jobs, Estee Lauder, Warren Buffett and Andrew Carnegie started out like any other entrepreneur but with leadership qualities in them, they carved their path in stone, so to speak, and built businesses beyond anyone’s dreams. If you are frustrated by your own weaknesses – and who isn’t – reading any of these books will help you overcome them. The Snowball: Warren Buffett and the Business of Life by Alice Schroeder. Warren Buffett is one of the top five richest persons in the world according to Forbes magazine. “The Snowball,” a biography with which he has enthusiastically cooperated, would be of interest to every aspiring leader. 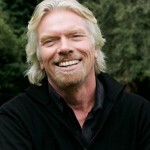 Losing My Virginity: How I’ve Survived, Had Fun, and Made a Fortune Doing Business My Way by Richard Branson. Richard is entrepreneur from United Kingdom and shares some of his business successes, world adventures, and personal background in his autobiography. I like one of the statements that he made in the book: “Ridiculous yachts and private planes and big limousines won’t make people enjoy life more, and it sends out terrible messages to the people who work for them. It would be so much better if that money was spent in Africa.” This one statement is surely on par with the lifestyle of Warren Buffet. Only in America: From Immigrant to CEO by Paul Oreffice. Paul is the former CEO of the Dow Chemical company. 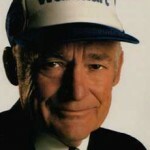 Even though he is an immigrant, he is considered an American original, and his account of his rise to the pinnacle of business leadership is filled with drama, inspiration, and wisdom. 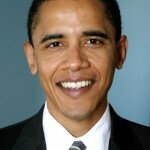 Dreams from My Father: A Story of Race and Inheritance by Barack Obama. Obama shares his story of being raised by a white mother and grandparents in Hawaii while his father lived in Kenya. While living in Chicago, Obama began to witness corruption, poverty, and racism and was compelled to make a change. 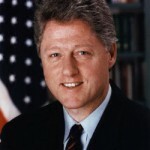 My Life by Bill Clinton. In this autobiography, the ex-president attempts to tell the story of his life, marriage, and presidency from his perspective. In some cases, it’s quite inspirational, in others may be not. You have to read the book to make your own opinion. Hard Drive: Bill Gates and the Making of the Microsoft Empire by James Wallace and Jim Erickson. This book charts Gates missteps as well as his successes. Wallace and Erickson also examine the combative, often abrasive side of Gates’s personality that has alienated many of Microsoft’s rivals and even employees, and led to his being labeled “The Silicon Bully” by Business Month Magazine. How he overcame a string of failures to become a titan in three major industries: computers, movies and music. Direct from Dell: Strategies that Revolutionized an Industry by Michael Dell, Catherine Fredman. 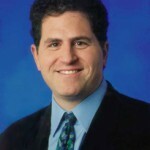 At nineteen, Michael Dell started his company as a freshman at the University of Texas with $1,000 and has since built an industry powerhouse. As Dell journeys through his childhood adventures, ups and downs, and mistakes made along the way, he reflects on invaluable lessons learned. Walt Disney: The Triumph of the American Imagination by Neal Gabler. 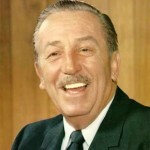 More than anyone else in the history of American popular culture, Walt Disney implanted his creations more profoundly and pervasively in the national psyche. Gabler has written an exceptionally intelligent, carefully researched, and absorbing doorstop. Gabler stresses Disney’s early commitment to innovation. From the author’s account, Disney was a merciless but inspiring boss. The Wizard of Menlo Park: How Thomas Alva Edison Invented the Modern World by Randall E. Stross. Mr. Edison is a true inspiration to us all. He was an American inventor, scientist, and businessman who developed many devices that greatly influenced life around the world. 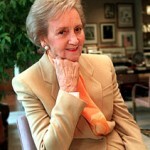 Personal History by Katharine Graham. An extraordinarily frank, honest, and generous book by one of America’s most famous and admired women, Personal History is a book composed of both personal memoir and history of Katharine Graham. 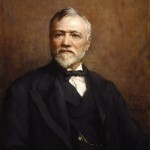 The Autobiography of Andrew Carnegie and The Gospel of Wealth by Andrew Carnegie who played the game of life to perfection, which is how he ended up the richest man in the world of his time. His optimism in life really comes through in his writings and always has a positive outlook on things. The People’s Tycoon: Henry Ford and the American Century by Steven Watts. Ford was a farm boy, machinist, inventor, businessman, celebrity, entrepreneur, folk hero, reformer, politician, moralist, father, bigot, antiquarian, and educator, among others. Estee: A Success Story by Estee Lauder. Her rise from unknown to Queen of Cosmetics is told in a lively fashion with her youthful fascination with beauty to her first forays in beauty salons to her acceptance by the major department stores. From her writing, it is clear that she is absolutely a believer in her products and that makes a big difference in selling her products so successfully. Besides these 15 inspiring leaders, there are numerous others who have inspired us in the American landscape of entrepreneurs, businessmen and sometimes just pure risk takers. As President Obama said in his State of the Union speech, innovation and entrepreneurship is the wave of the future like from time to time it has been. America is still the land of opportunities even though its grip is loosening. There are other emerging hubs in the world that are just as capable of innovation as America is which is good for the world in general.